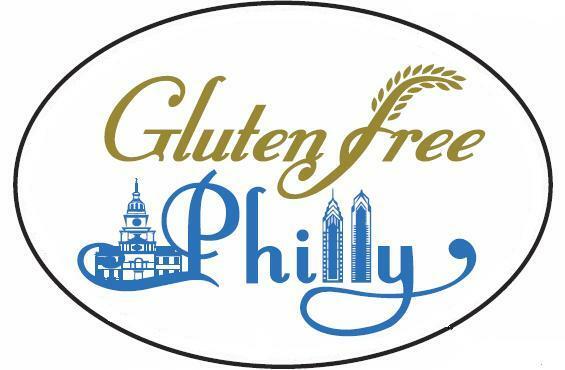 You can now show your support for this fine blog by sporting an oval Gluten Free Philly logo magnet on your vehicle. With a donation of $10 or more you'll receive a free magnet, which will most assuredly make your car, truck or - yes, even your minivan - the envy of friends and neighbors alike. Even better, $2 of every $10 contributed will be donated to the National Foundation for Celiac Awareness. Donations are processed through PayPal, which keeps your financial information private. Please allow a couple weeks for mailing. As always, your purchases at Amazon.com, Gluten-Free Mall, glutenfree.com and Triumph Dining (made after clicking through links on this blog) also help to keep Gluten Free Philly growing. Going "naked" was the topic of a post earlier this week, when I featured The Naked Cookie, a local bakery that customizes gluten-free cookies, brownies and other treats with dozens of mix-ins. Leading the restaurant news today is word that the new peanut butter-themed sandwich shop PBandU in Wayne (163 East Lancaster Avenue, 484-367-7799) can accommodate gluten-free diets. Owner Mercury Amodio tells me that she has a dedicated toaster for the gluten-free bread, keeps separate batches of peanut butter, jelly and other spreads for the sandwiches, and makes every order on a separate sheet of wax paper. Molly Maguire's Irish Restaurant & Pub, with locations in Lansdale (329 West Main Street, 267-263-2109) and Phoenixville (197 Bridge Street, 610-933-9550) has a gluten-free menu and serves Redbridge. 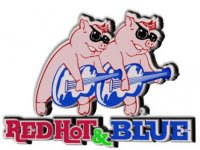 Barbeque restaurant Red Hot & Blue in Cherry Hill (2175 Route 70 East, 856-665-7427) has an allergen list; among other items, the ribs and wings are gluten free. At Phamous Phil's BBQ in Collegeville (3839 Germantown Pike, 610-489-7675), safe options are the crab cakes and (soon) meatloaf. Seasons 52 Fresh Grill, with area locations in King of Prussia and Cherry Hill, has posted its Fall 2010 gluten-free menu. Among the new food options coming to the Cherry Hill Mall is the area's first Red Mango, which serves certified gluten-free frozen yogurt. The Whole Foods Market in Marlton is hosting a free "Gluten-Free Family Friendly Meals" class tomorrow from 3 p.m. to 4:30 p.m. "Chef Erin" will take customers on a tour of the store, pointing out gluten-free products, sharing recipes, and sampling the foods. Register by calling 856-797-1115 or e-mailing Marketing Specialist & Community Liaison Jen Honovic. With thanks to reader Sophia K., cable television's new Cooking Channel airs a show called "My Life in Food." A new episode, debuting tonight at 9:30 p.m., features actress Jennifer Esposito ("Rescue Me," "Samantha Who? "), who has celiac disease, discussing her line of gluten-free baking products. You can see if the network is offered in your area through this link. It's been a while, but I will have a product giveaway to announce next week. Have a great weekend, everyone!